Wat De Fu: Honey, I blew up the ... microwave! April blew up the microwave this weekend trying to cook songs popcorn. 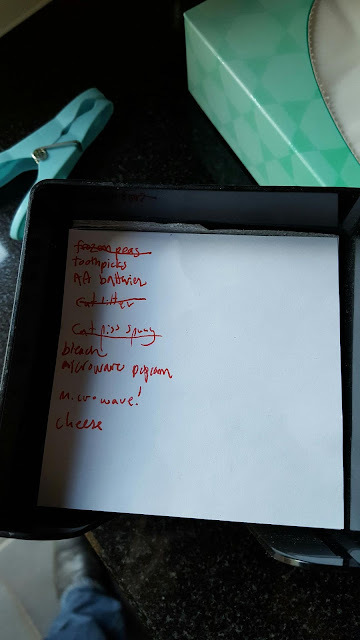 Here's this weekend's shopping list.